Once classes have established a core repertoire, it has been a longstanding tradition for these students to continue with Kutsinhira by establishing themselves as self-directing performing ensembles. These ensembles represent the music and Kutsinhira to the public by performing at a professional level for public and private events. These ensembles may be hired for $250/hour, with a minimum set length of 1 hour. Performances are lively and will get audiences on their feet and enthusiastically participating. In Zimbabwe, everyone dances to the spirited rhythms of traditional music! 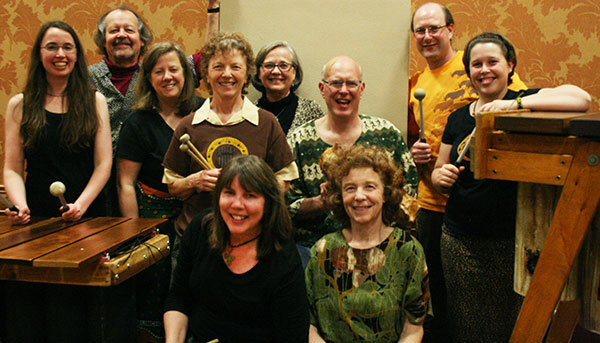 Jenaguru, a 10-member marimba band, draws on the influence of traditional Zimbabwean mbira music to create jubilant dance music on marimbas. 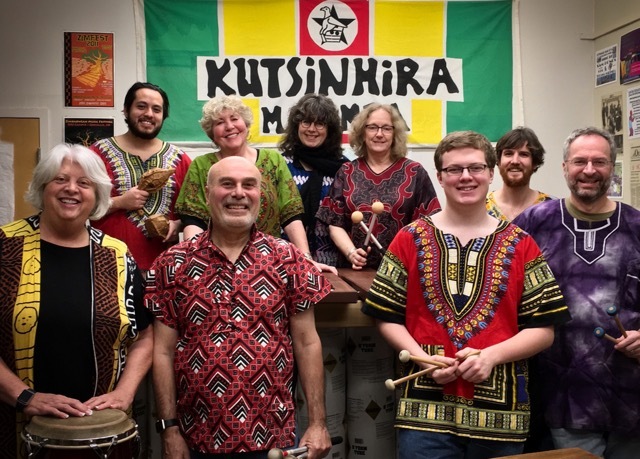 From the playful song Kamba to the hauntingly beautiful Todzungaira, the complex melodies and rhythms of the marimbas, vocals, and the strong pulse of the hosho and drums stir and inspire the audience. 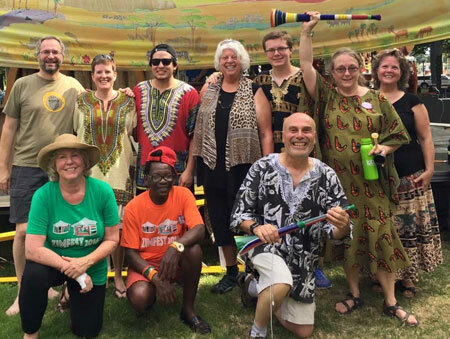 Jenaguru, a performing ensemble of Kutsinhira, has performed throughout Oregon, including Eugene’s First Night, the Eugene Celebration, Saturday Market, the Bach Festival, the Zimbabwean Music Festival, public schools, and for many community events and private celebrations. 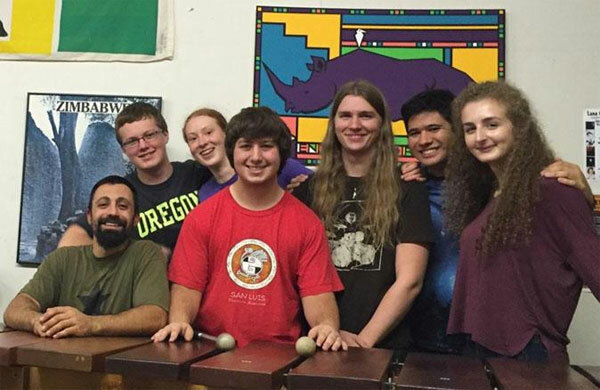 Mhondoro is a Eugene-based marimba band that plays the buoyant and spirited music of Zimbabwe. The music, which inspires audiences to leap to their feet to dance, sing, and clap, is played on wooden marimbas, drums, and hosho (shakers) with singing and the occasional cowbell. Mhondoro has played for the Eugene Celebration, the Bach Festival, Saturday Market, Oregon Country Fair, the Zimbabwean Music Festival, and many other public and private celebrations including weddings, anniversaries, and birthday parties or any celebratory occasion. On request, we can teach a simple song for your guests to learn and play on the spot! Chapwititi, which means the spark before a fire in the Shona language of Zimbabwe, upholds a long-standing legacy of outstanding teenage performers educated by the Kutsinhira Cultural Arts Center in Eugene, Oregon. Most in the group, directed by Gary Spalter, have been playing the music since they were 10 years old. 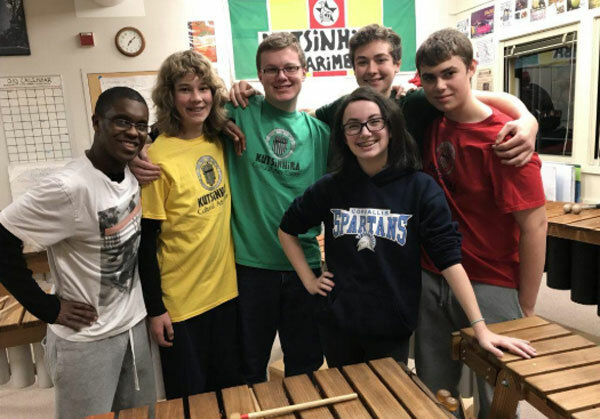 These talented high school musicians create highly entertaining and danceable music as learned directly from their Zimbabwean and Kutsinhira teachers. Their infectious music will inspire you to dance and participate in their performance. Mutswi Wambuya is composed of former marimba students from the Kutsinhira Cultural Arts Center who are now continuing their general education at the college level.